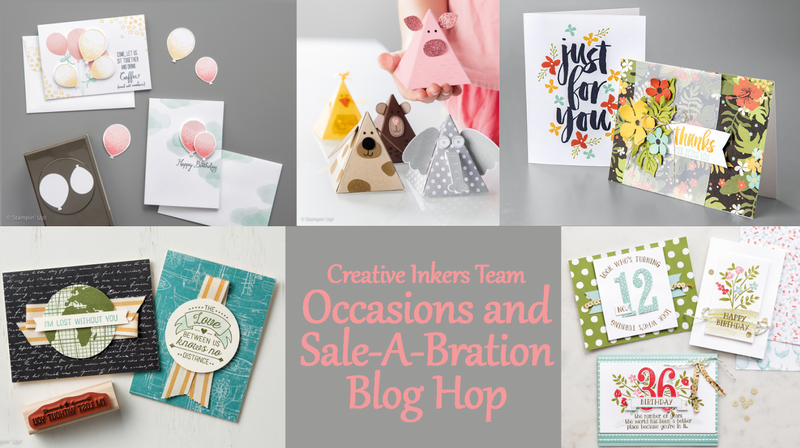 Welcome to our blog hop for this years Occasions Catalogue. We have decided this time to combine the Occasions and Sale-A-Bration catalogues so you may see either or both Occasions & Sale-A-Bration products as you 'hop through'. The ladies have some great projects lined up to share with you tonight so I hope you enjoy our latest 'hop'. If this is your first stop, make sure you click on either the Next or the Previous buttons below to hop around and check out everyone's blogs. They're be lots of fantastic projects to see and inspire you. If you get lost along the way, see the list at the bottom of this post to get you back on track again. Now to my projects for this hop. First off, the Occasions Catalogue. I've made a Valentines card using the new set called Beautiful Ride. Rather than placing the people with the car that is part of this set, I've chosen to sit them on a hill looking out over a sunset together. Next to the Sale-A-Bration catalogue. 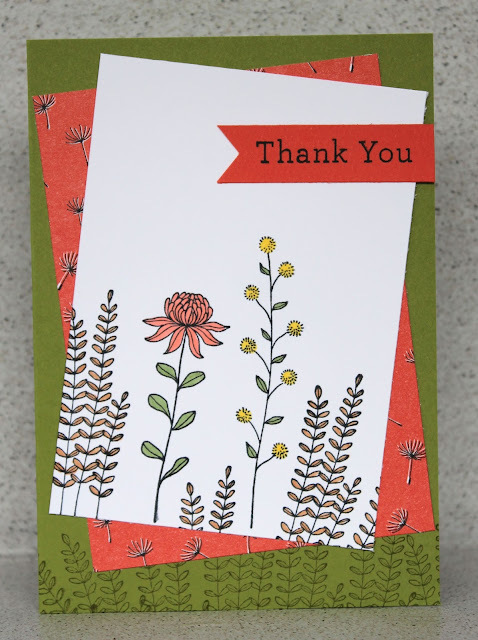 I've used the Wildflower Fields Designer Series Paper. This paper has a gorgeous stamp set that matches it, however for this first card I have used Enjoy the Little Things, Timeless Textures and from the Annual Catalogue, Awesomely Artistic. 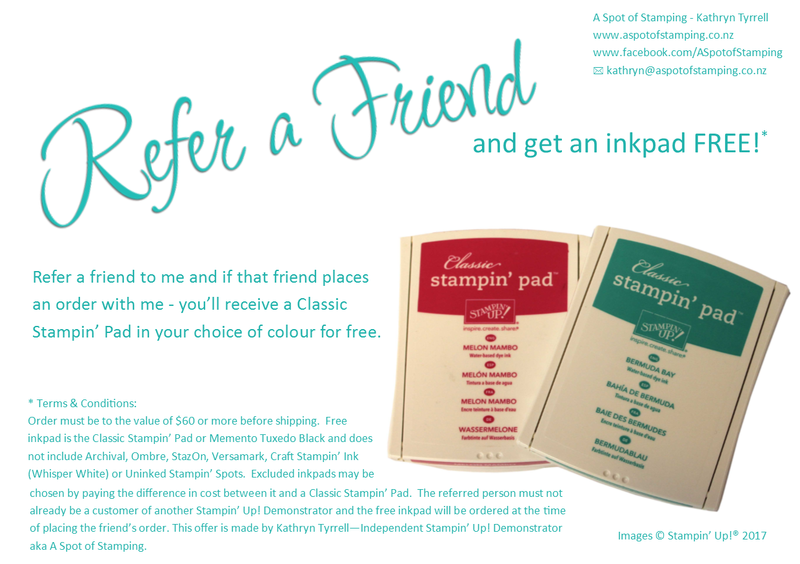 Thirdly I have cased a project from Stampin' Up! themselves here. 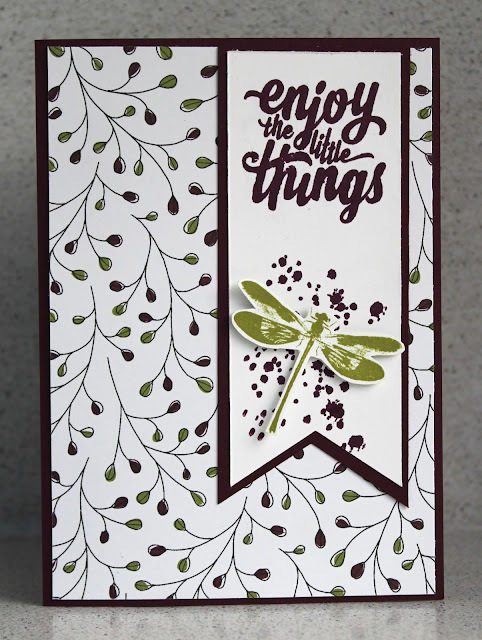 It uses that same DSP pack Wildflower Fields and this time I've used the co-ordinating Flowering Fields stamp set. The only difference I have made is to change my sentiment to say Thank You instead of Miss You. I hope you've enjoyed my projects tonight. Hop on over to Ria next to see what she has lined up for you. 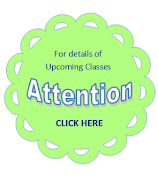 Please remember we love to read your comments so please leave us some as you hop along. Fabulous cards Kathryn, my favourite is the Couple one. What a wonderfully varied selection. 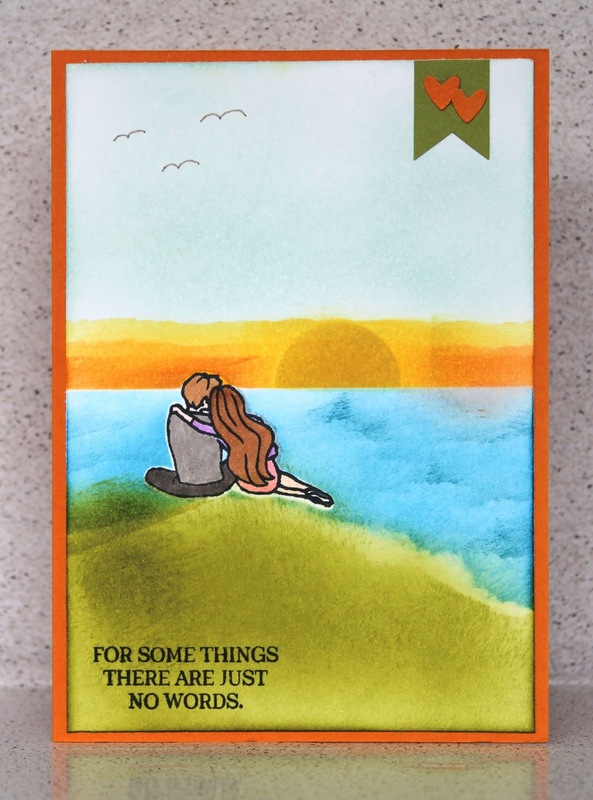 My favourite is the couple in the sunset too because I really like how you've done something a bit different with the stamp set. Great projects - I'm voting for the second card :) I like they way you have incorporated all our catalogues into this one card. Great use of products.